Traditional chicken parmesan usually falls on the “unhealthy” list. It’s typically breaded and deep-fried until golden brown, swimming in sauce and smothered with cheese. It’s delicious, but a far cry from healthy. 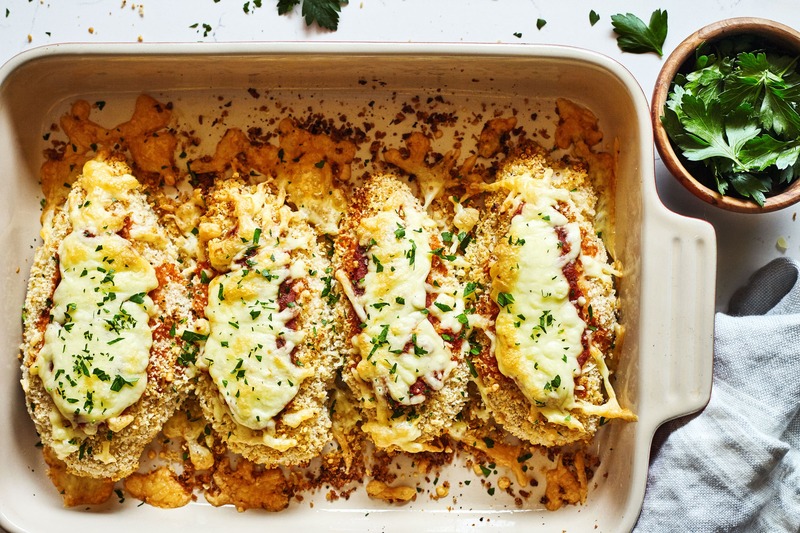 Thankfully, with this recipe, you can make your own healthy chicken parmesan at home. To replicate the crispy fried coating, we dipped lean chicken breasts in spiced breadcrumbs and baked them. (A bit of parmesan cheese mixed in makes sure the breadcrumbs stick). When the chicken is cooked and the breading is crisp and golden brown, top it with marinara sauce and sprinkle it with mozzarella. Pop it back in the oven for a few minutes to get the cheese to melt-y perfection. Pro tip: Look for part-skim mozzarella for this recipe. It’s an easy way to save on fat and calories, and you’ll never notice a difference in flavor. Want healthier versions of other classic chicken recipes? Try these Chicken Cordon Bleu and Chicken Pot Pie recipes. 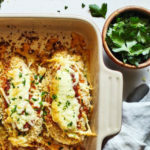 Watch 21 Day Fix creator Autumn Calabrese and her brother, chef Bobby Calabrese make their own version of Chicken Parmesan on their healthy cooking show, FIXATE! Chicken Parmesan is typically deep-fried and smothered with cheese. 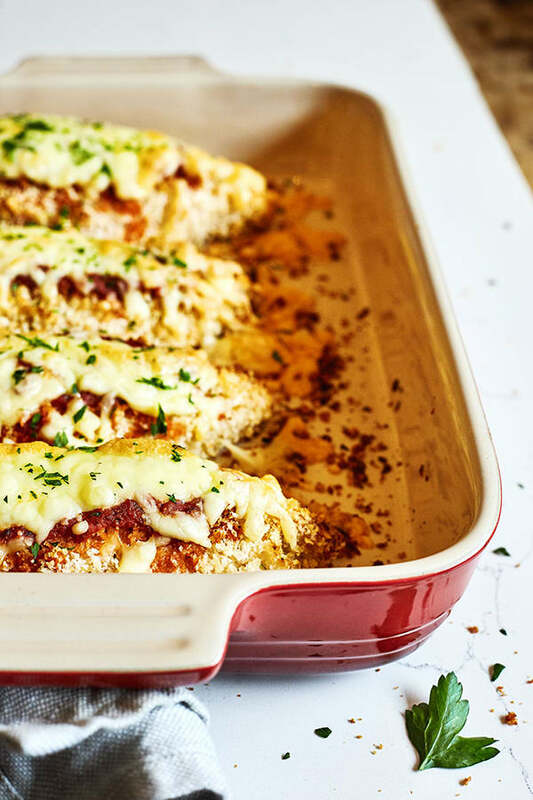 Thankfully, with this recipe, you can make your own healthy chicken Parmesan at home. Add a side salad or veggies for a great lunch option.